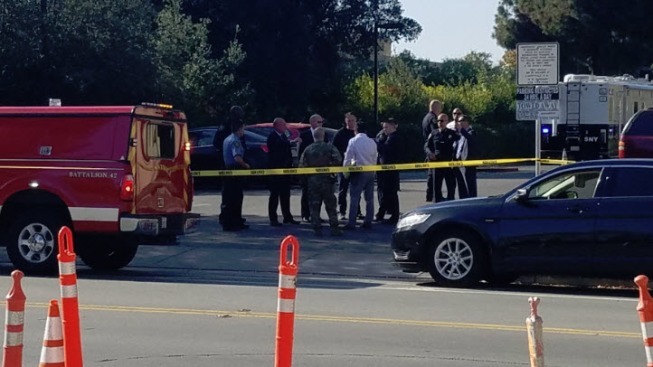 A stabbing suspect and police K-9 are dead following an officer-involved shooting in Sunnyvale, police said. The incident was reported at 1 p.m. Tuesday on the 500 block East Weddell Drive. Police said the suspect wounded another person. Arriving officers sent a K-9 after the suspect, which the suspect stabbed and killed, according to police. Police then shot the suspect. A woman who police said was stabbed by the suspect was transported to a hospital and is expected to recover. An investigation is ongoing and no other information was immediately available.